Today, about 2/3 of coming dental patients have some form of mild to moderate periodontal disease. The main symptom is usually red and swollen gums, called gingivitis. You can recognize gingivitis from very sensitive, painful gums and gum bleeding when cleaning your teeth. When having periodontal diseases you are very likely to have as well persistent bad breath or bad taste in the mouth. If gum problems become severe you may experience symptoms including pain while chewing, gum recession, abscess or puss between teeth, moving teeth. The main cause of gum disease is poor dental hygiene. Bacteria in your mouth are constantly multiplying, and although some bacteria are good, most are not. “Bad” bacteria spread in the mouth and development of dental tartar is driven by excessive consumption of processed food and the huge amount of sugar that we eat. Without proper care and teeth cleaning, bacteria can lead to inflammation of the gums, and without timely dental treatment – to gum and bone tissue recession. Although oral hygiene is the best way to ensure good gum health, some other circumstances also increase the risk. Gingivitis can also be caused by hormonal changes during pregnancy, puberty or menopause. High blood sugar levels while having diabetes also weakens the immune system allowing bad bacteria to increase. Smoking also damages the gum tissue and complicates its renewal. Genetics is still very influential, but it does not mean that you will definitely get sick. Just take care of your teeth and gums. The risk of serious illness can be reduced by paying more attention to the condition of your gums. Periodontitis is an inflammatory process in the tooth surrounding tissues that causes the destruction of these tissues. Most commonly, periodontitis begins with gingivitis – an inflammation of the gums when there is no damage yet to the supporting tissue of the tooth. 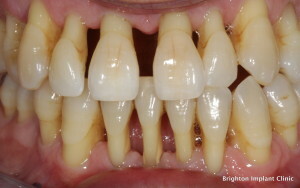 Gingivitis usually begins at an early age, reaches a peak in adolescence, and occurs very often between adults. Inflammation and tissue breakdown may include bleeding, gum swelling, tooth root exposure and bad breath odor. Early diagnosis and treatment of the gums helps to fully cure up to 80% of cases. Periodontal diseases are treated by various methods. It depends on the severity of the disease. Such patients are being treated with ultrasound, laser, hand tools, mouth washes, PerioChip (chlorhexidine digluconate). It is a myth – that paradontosis is not treatable and not cured. The sooner we diagnose the disease, we will have better treatment results. Late treatment stops the progression of the disease, but the lost gum (bone ligament) will not be restored. 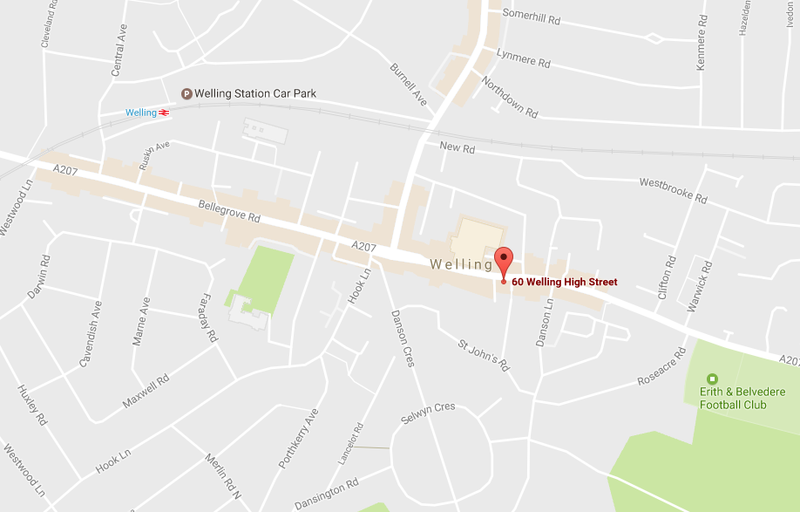 We will be happy to assist you in the fight against gum disease at our dental practice in Welling.